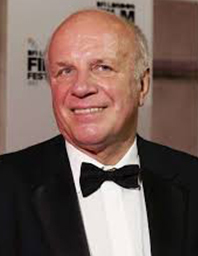 Perhaps best known as a former Director-General of the BBC, Greg Dyke is a West London Man through and through. Born in Norwood Green in 1947, Greg grew up in Hayes and was educated at Hayes Grammar School. He took the first steps on the path of his journalism and broadcasting career as a reporter for the Hillingdon Mirror, before attending the University of York as a mature student where he read politics. Today, Greg lives in Twickenham with his family.